Written by John Archbold who was a member of the Toronto Morris Men singing round the campfire at the Martitme Festival at Penetanguishene a few (now more than a few!) years back. 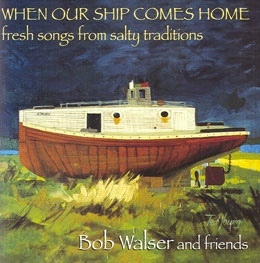 The song is based mostly on his father’s experiences at sea. ‘Twas my first trip, O Lord I was green. It’s the Old Red Duster for me. And it’s many’s the young girl beguiled. ‘Twas the jaunt up to Murmansk for me. It’s The Union forever for me. And those bastards the owners are cheap. And at six knots she’s racing along. All day and all night as well. For I know it’s been hotter than Hell! You can bloody well sing it to me.